Round two draws more riders and packs the house at the indoor park in Vista, CA San Diego, CA (September 10, 2012): The Recon Tour presented by Monster Army made its second stop at Aura Skatepark in Vista, CA on Saturday. The park was packed wall to wall drawing riders from California, Arizona and Nevada who all made the haul to compete for over $20,000 in cash and prizes up for grabs. The Open / Pro division was the one to watch with the riders using every inch of the indoor park to put together their runs. In the end it was Ross Lanier from Newberry Springs, CA who put down two solid runs to take the win in convincing fashion. 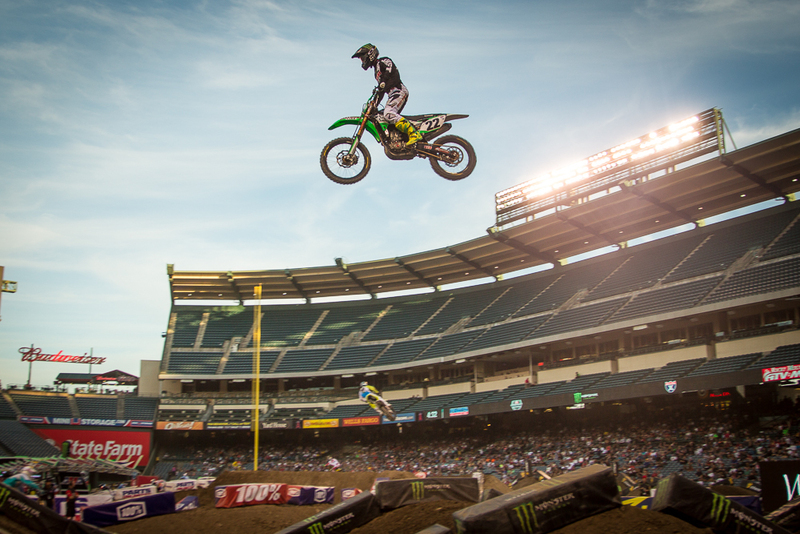 He topped round one winner Justin Spriet from Murrieta, CA and Ricky Moseley from Anaheim, CA. “This event was so fun and I’m so pumped I won since there were some really rad guys here,” says Open / Pro winner Ross Lanier. “This year has been an amazing year so far! I’ve met so many good people and look forward to finishing strong at the final Recon stop at Clairemont.” Lawrence Meimetis from Norco, CA took home the top spot in 18+ division and Brad Thomas from Chino, CA took the win in the 15-17 advanced division shaking up the overall standings in the tour going into the Finals next month. In Recon Tour style, tour partners continued to go big for the riders. Every podium finisher again received a new Bell helmet and overall winners won Rockwell watches. Prizes and giveaways were handed out throughout the day from Monster Energy, Hookit, GoPro, Rockwell Watches, SPY, Primo, Mirraco, Ride BMX, Haro, Pant Saggin Dezign, Ride.Live.Be, Amourdillo and Swearcrew. Hidden Valley Bicycles was on hand to help the riders with bike prep and tech support. “The Recon Tour continues to exceed our expectations,” said Scott Tilton from Hookit. “The turnout continues to grow and together with our partners, we’re just pumped to provide such a great event that supports the riders.” The final stop next month is worth 1 1/2 points towards the riders’ overall finish in the tour standing. The finals will determine who takes home the $1,000 Open / Pro Purse, free GoPro cameras and the free weekend at Woodward next spring for select divisions. Markit and East County BMX threw down big and are putting up $500 for the best trick contest. The top three podium finishers from each division in round two include: Open / Pro 1st – Ross Lanier – Newberry Springs, CA 2nd – Justin Spriet – Murrieta, CA 3rd – Ricky Moseley – Anaheim, CA 18 & Over 1st – Lawrence Meimetis – Norco, CA 2nd – Trevor Fitz – Camarillo, CA 3rd – Joe Flowers – Bakersfield, CA 15-17 Advanced 1st – Brad Thomas – Chino, CA 2nd – Oscar Maldonado – Homeland, CA 3rd – Anthony Nunez – Brawley, CA 12-14 Advanced 1st – Pierce Howell – Santee, CA 2nd – Emmet Thomas – Newbury Park, CA 3rd – Shay Hawkins – Murrieta, CA 11 & Under Advanced 1st – Kaden Stone – Lake Elsinore, CA 2nd – Tyler Bush – Corona, CA 3rd – Erik Aguilar – El Centro, CA Girls Rayvionne French – Los Angeles, CA 15-17 Novice 1st – Austyn McIntosh – Lakeside, CA 2nd – Augie Adee – Bakersfield, CA 3rd – EJ Bences – Norco, CA 12-14 Novice 1st – Victor Peraza – Tucson, AZ 2nd – Trevyn Gibbs – Vail, AZ 3rd – Tony Moreno – San Marcos, CA 11 & Under Novice 1st – Jacob Blais – Tucson, AZ 2nd – Emmet Young – Homeland, CA 3rd – Jason Blais – Tucson, AZ For a complete list of results and to view more photos, videos and rider profiles, visit www.therecontour.com/round2recap. For the current Tour standings, check out www.therecontour.com/standingsThe final stop takes place at Krause Family Bike & Skatepark in San Diego, CA on October 6, 2012. Pre-registration is open at www.theReconTour.com. About the Recon Tour The Recon Tour is presented by Monster Army and is a southern California-based, three stop BMX contest series. Tour stops include Aug. 4th at Escondido Sports Center (Escondido, CA), September 8th at Aura Skatepark (Vista, CA) and October 6th at Mission Valley YMCA / Krause Family Skatepark (San Diego, CA). The Recon Tour’s mission is to provide a better platform for BMX riders of all ages and abilities to compete and showcase their talent. For more information, visit www.theReconTour.com, www.facebook.com/recontour or on Twitter @recontour.